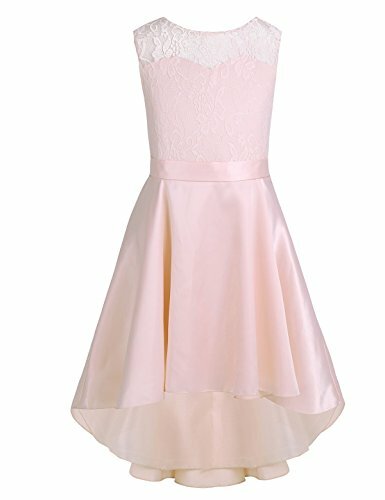 Sleeveless, floral lace top bodice, V back neckline . Irremovable sash stitched around the waistline. 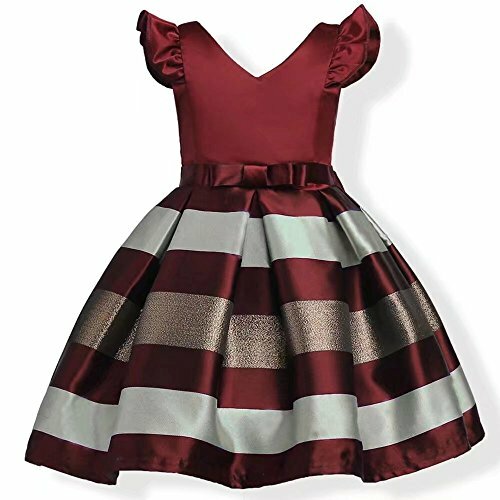 2 high-low hem layers dress, top satin layer with 1 lining. Please choose the larger one if you are hesitate between two size. 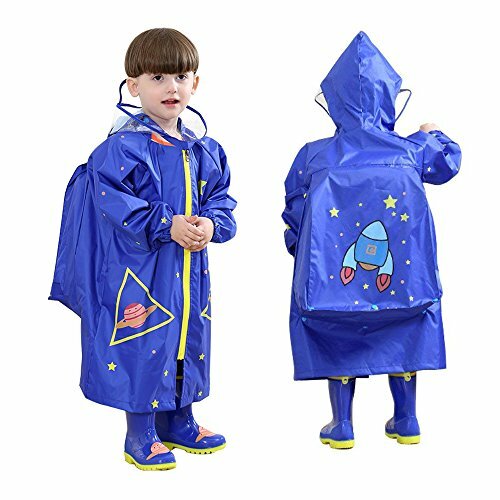 TRANSPARENT & BIG SIZE HOOD: With big size hood, this raincoat can provide protection for your kids from the rain and wind. Transparent hood will not cover their sight, make them safer in raining day in outside. SCHOOL BAG COVER DESIGN: The school bag cover design makes this raincoat perfect for the school boys and girls, providing enough space for them and their school bag. 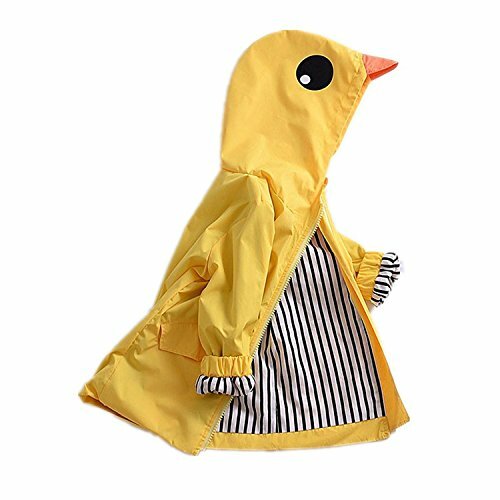 WATERPROOF MATERIAL: Made from high quality waterproof polyester solid fabric, you can shake off the water droplets by gently shaking, this rain coat is durable to protect your children from any bad rainy windy weather, would be good companion for outdoor play, outdoor travel, camping, walking etc. Material: Made of high-quality fabric, with inner lining to make the jacket softer and more comfortable, friendly to your baby’s skin. Attention:ZOOLER is an US registered trademark, unauthorized sale without permission, we will investigated for legal responsibility. Please pay attention to avoid purchasing counterfeits from other seller. 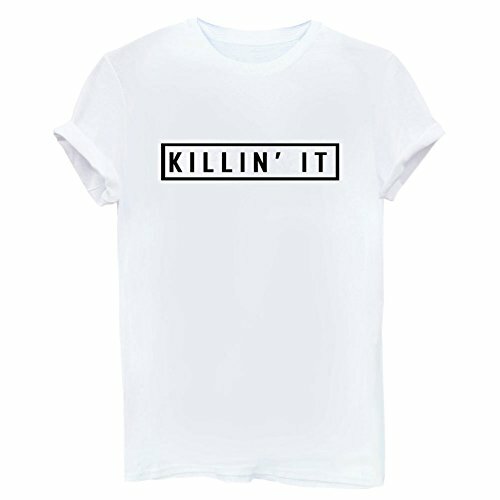 Material: Genuine top layer cowhide leather. (Shoulder strap, inner front pocket binding, loop, end of zipper, anchor and top of handle are microfiber leather) 3 colours available. Simple but fashion, good look and utility, perfect choice. Closure& Hardware& Lining: Top zipper closure. 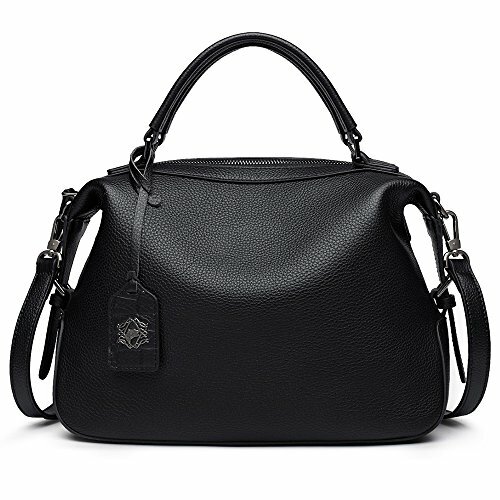 Use high quality black silver hardware and durable polyester lining. Pullers are made of leather and hardware, which extend the usage of life.